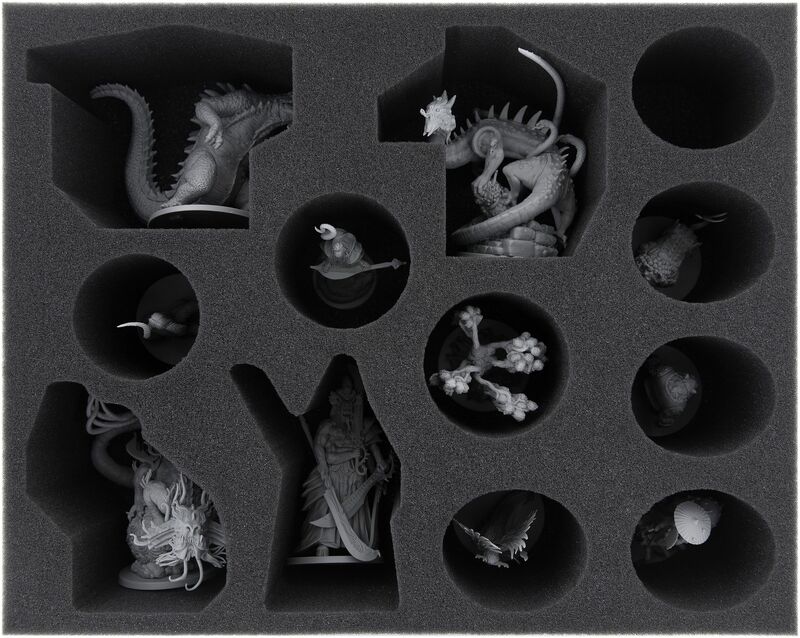 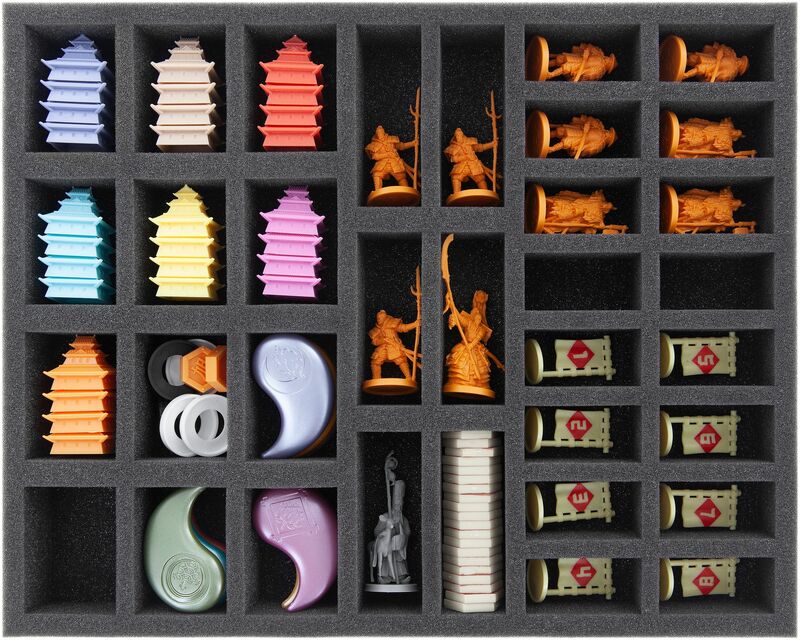 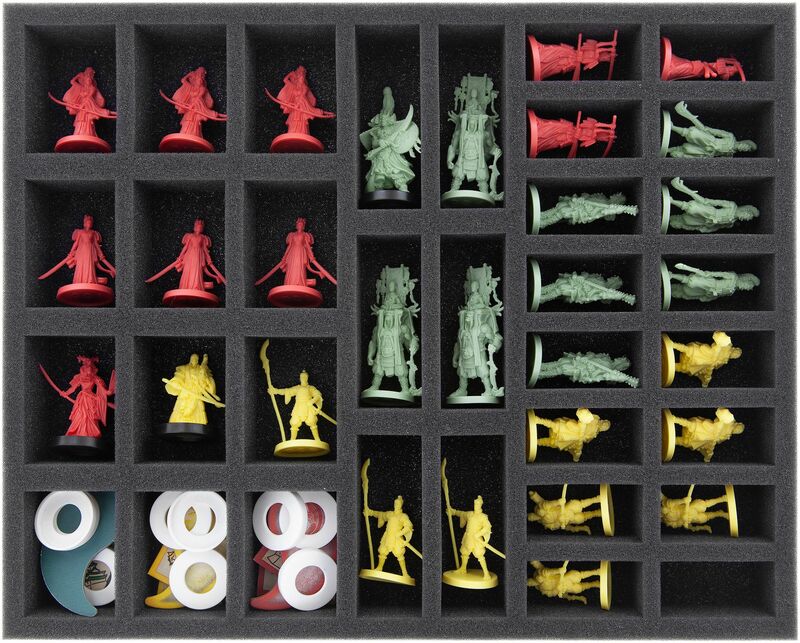 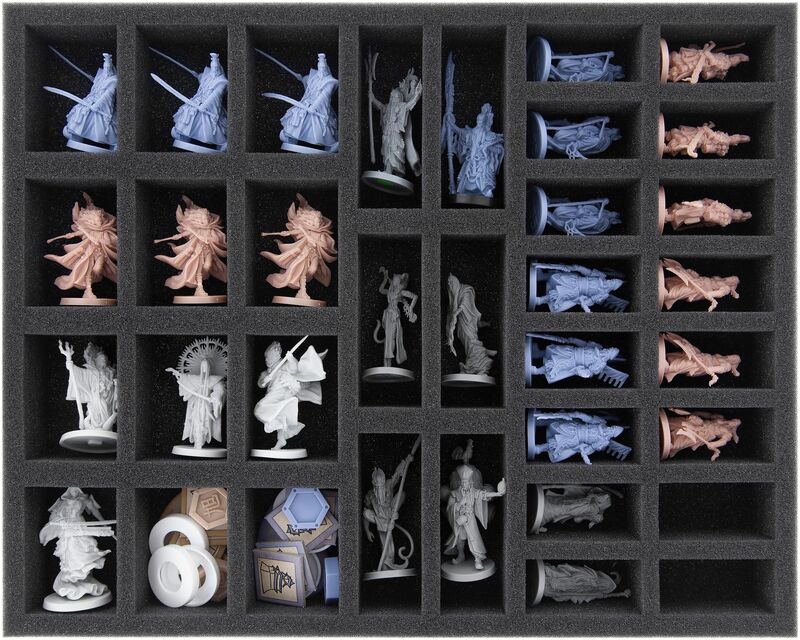 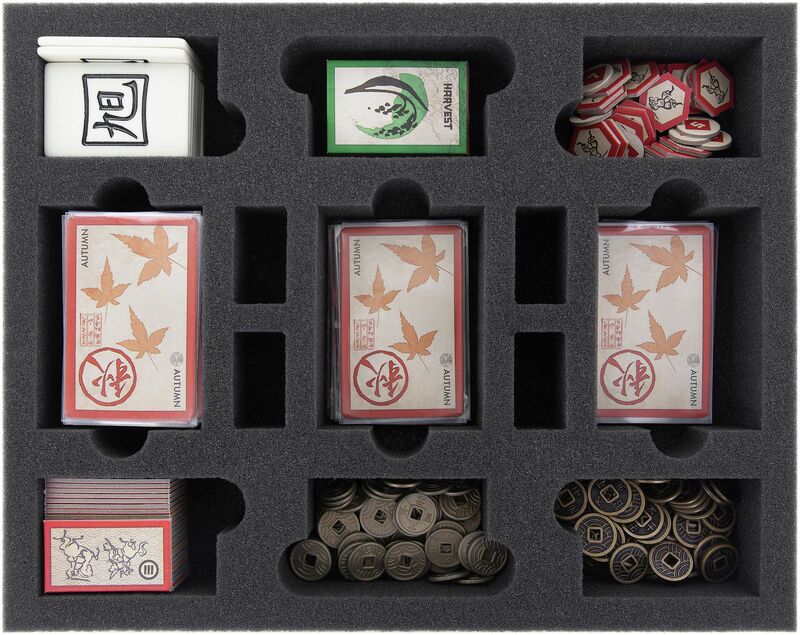 Our Foam Set for the complete Rising Sun Kickstarter Pledge solves all your problems. 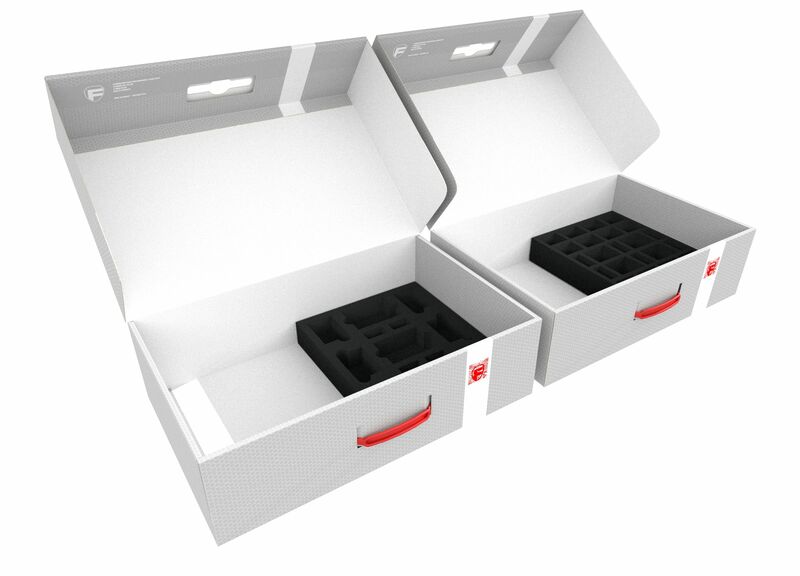 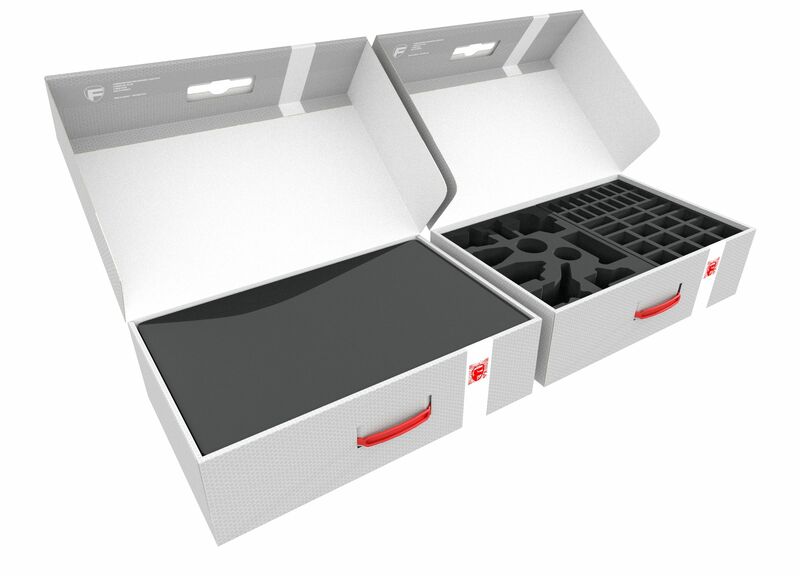 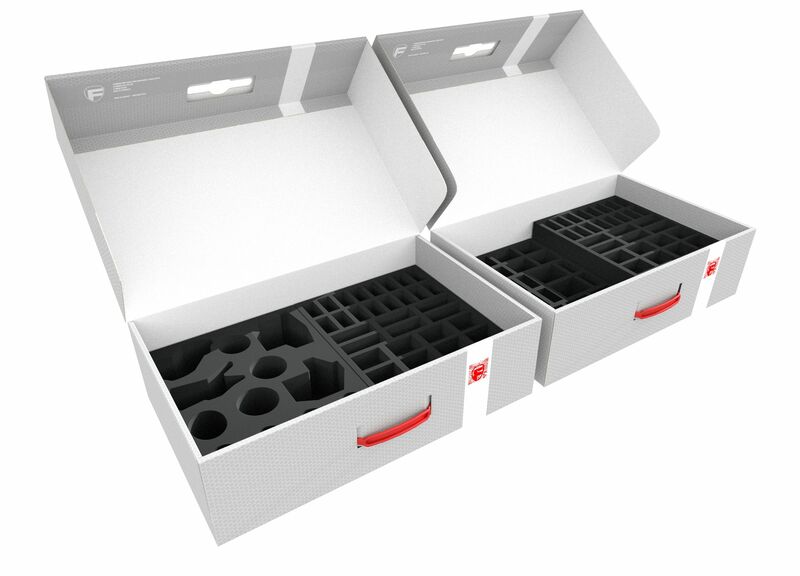 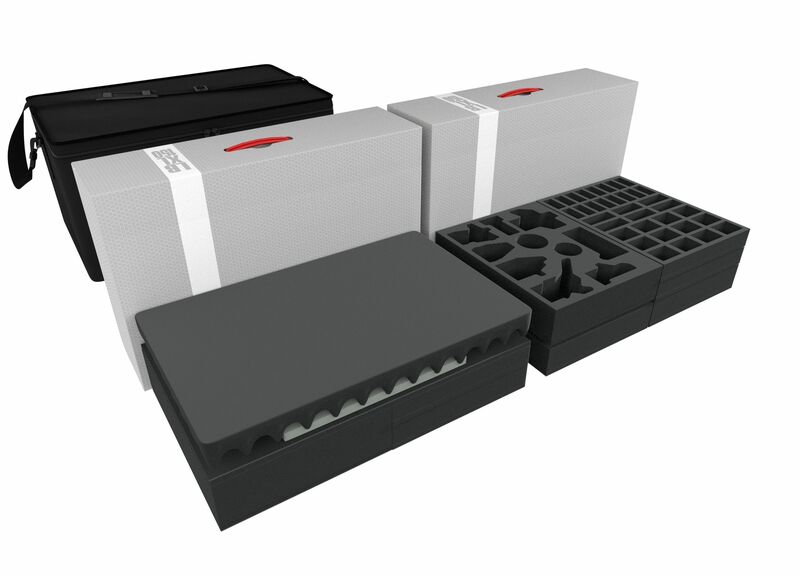 The heart of the Set are 2 XL storage boxes and 8 custom cut foam trays. 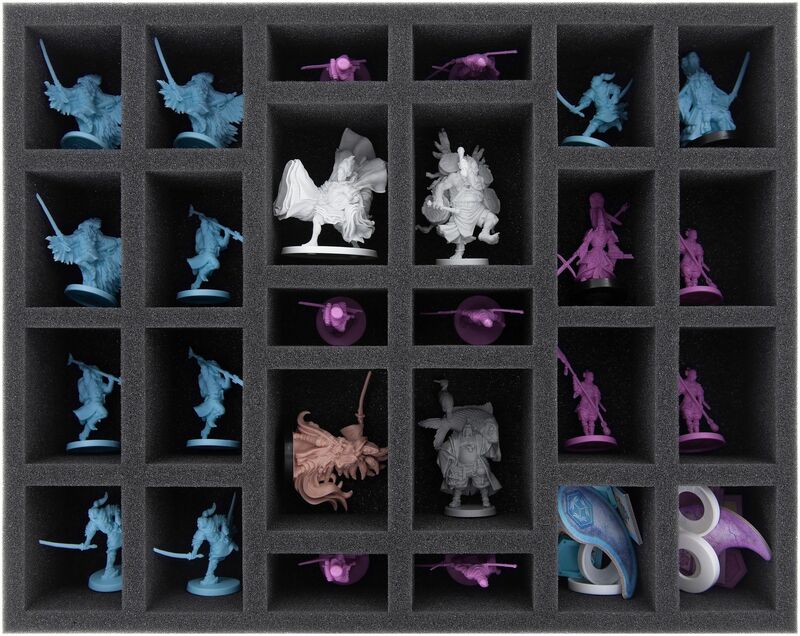 The trays will hold each and every game component of both the Core Box and all Stretch Goals of the Kickstarter campaign (Daimyo, Dynasty Invasion, Monster Pack and Kami Unbound expansions). 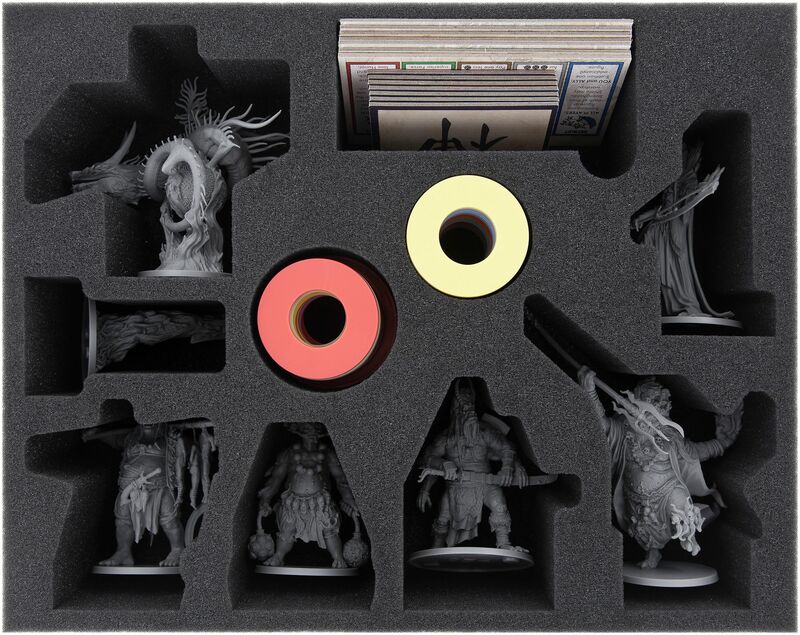 Included in the set is also a nap foam to cover the board in the one storage box and a foam topper to cover game material in the other. 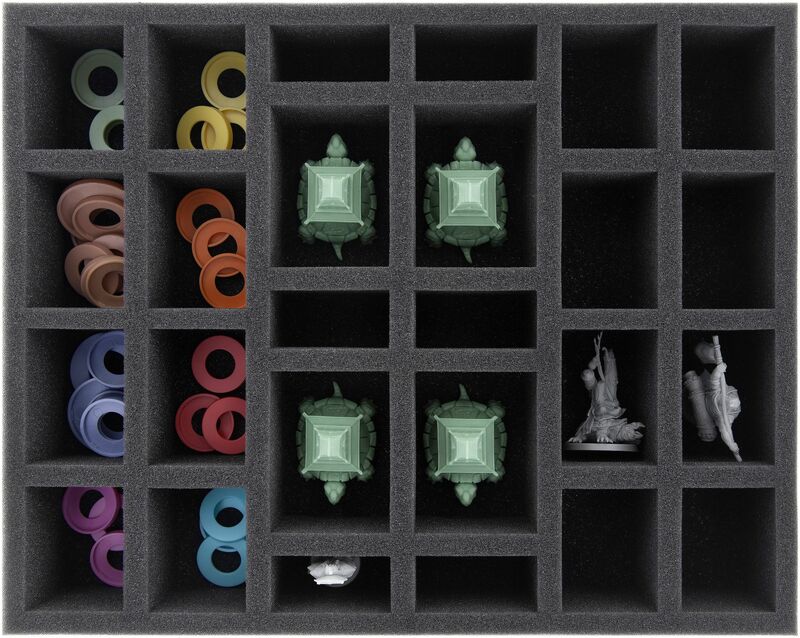 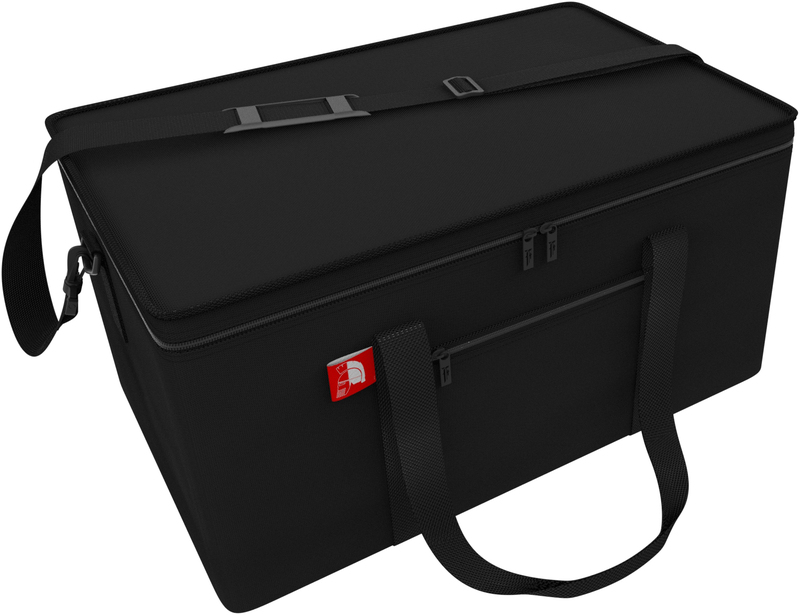 Once you've got everything sorted, you let the boxes slide into the sturdy Transporter Bag that comes with the Set and off you go.